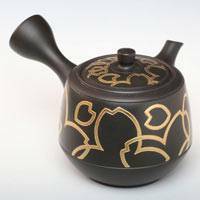 Though Shoryu produces a variety of fine work, he is, more than anything, known for his impeccably thin, feather-light teapots, identifiable at a single touch. 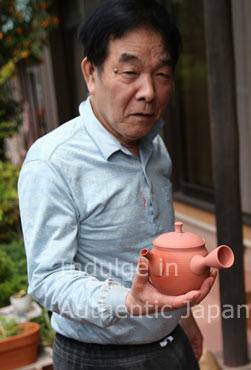 He is also the creator of the first Tenmoku-style teapot in Japan. 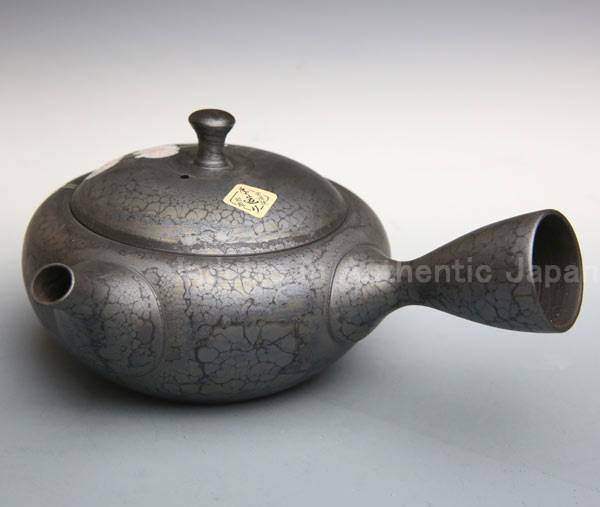 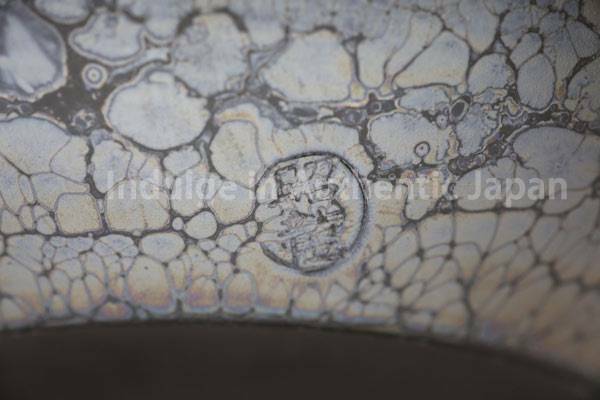 Though ceramics in the Tenmoku style – a style of fine-grained glaze originating in China – are popular in Japan, Shoryu was able to develop a Tenmoku pattern uniquely suited to Japanese style teapots through years of trial and error. 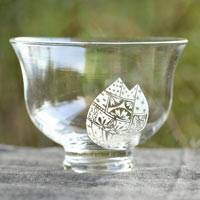 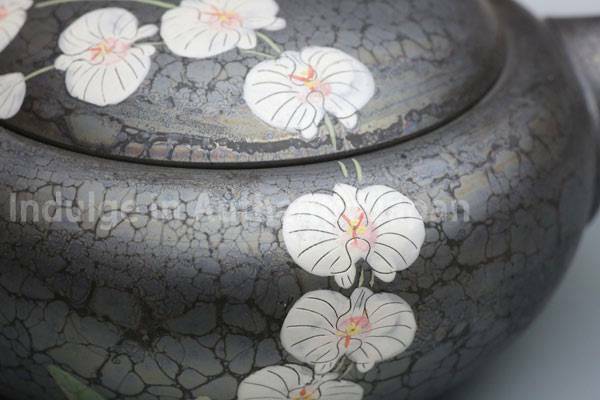 Intricate and refined, Shoryu’s Tenmoku patterns are delightful, both as art objects and practical tools. 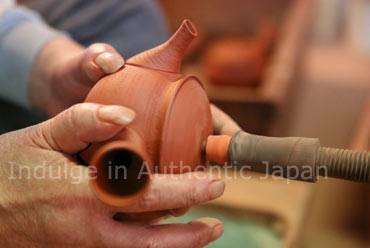 Born in 1945 in Aichi Prefecture’s Tokoname City, Shoryu is the son of a potter who specialized in hibachi stoves. 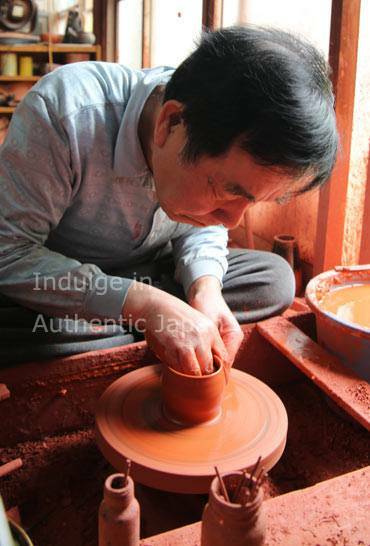 The third son of five children, his two older brothers are also active as teapot artisans. 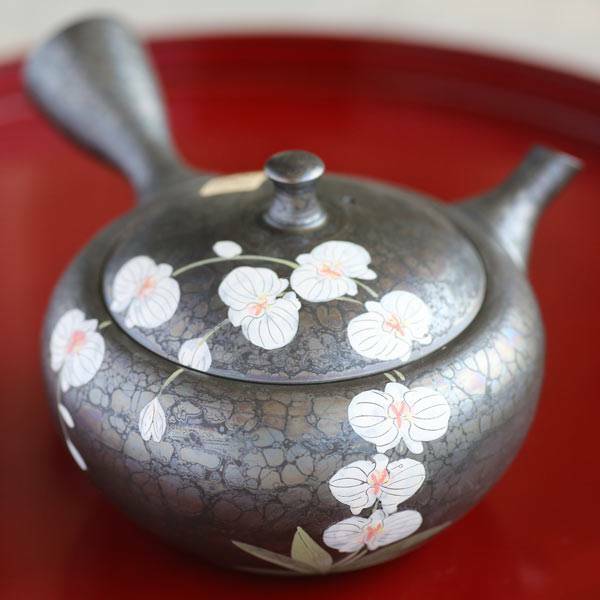 Shoryu’s oldest brother inherited the title “Hokuryu” from his father, and his second brother took on the name “Sekiryu.” The derivation of Shoryu’s name, however, is a little more complex. 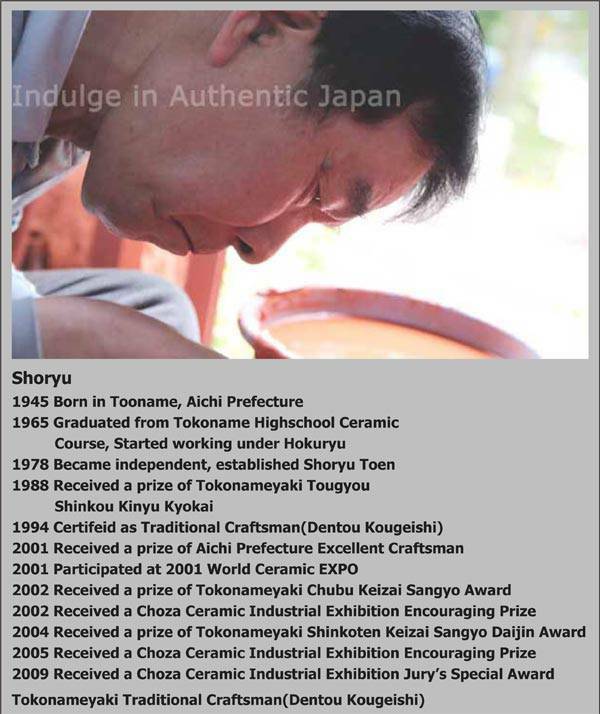 Because he was born in the 20th year of the Showa period, his birth name – Shoji – incorporates the first character of “Showa” and the Chinese character meaning “two.” He grew to like the character “Sho” from his birth name, and so incorporated it into his professional name, Shoryu. 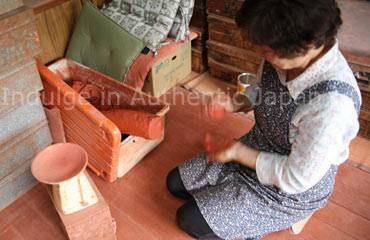 Shoryu began assisting his father in mixing the clay used in his pottery when he was in 4th grade, often working well into the night. 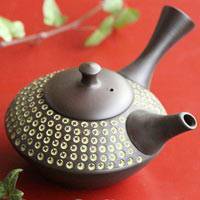 By middle school, he was working during the day creating mesh strainers for his father’s teapots, and attending night school. 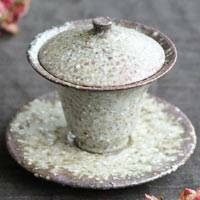 “All of my neighbors would tell me, ‘it must be hard for you to work all day and study all night,’ but it was better than the other way around!” he says with a laugh. 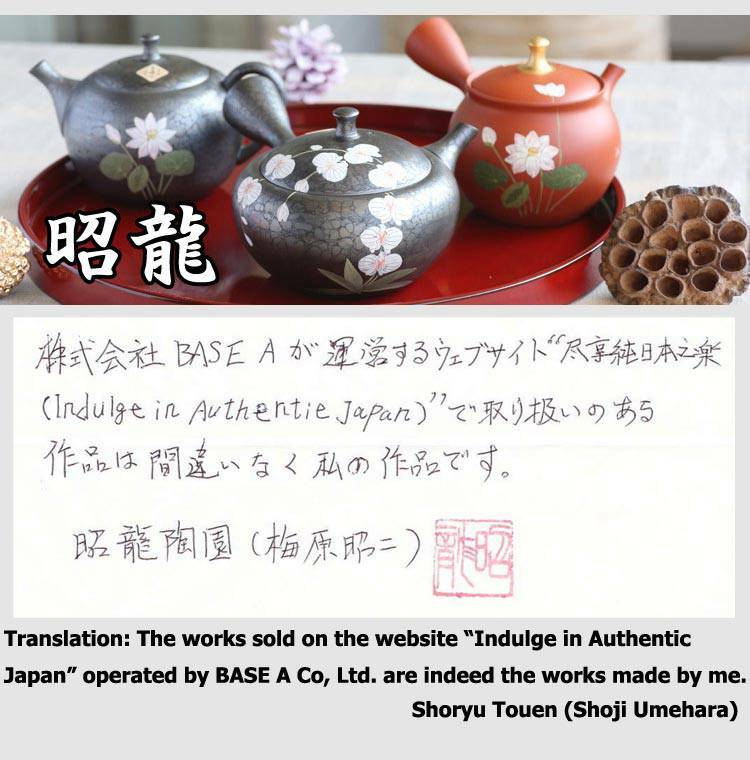 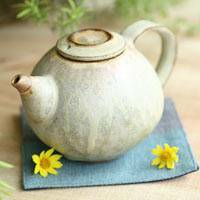 Shoryu’s hard work during his childhood paid off when he began to take requests from clients for his lightweight teapots. 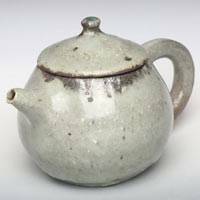 In order to create those teapots, he had to singlehandedly develop both a ideal combination of clay and the technical skills required to make his pots lighter and thinner than any before. 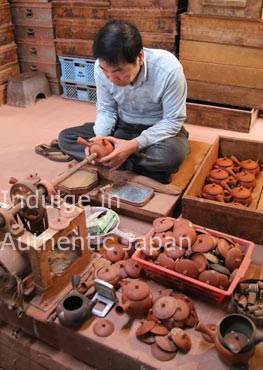 Even with his knowledge of many different types of clay, it took Shoryu three years of trial and refinement to discover the perfect blend. 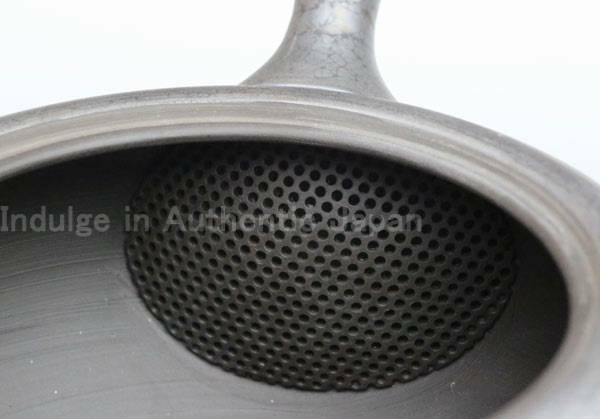 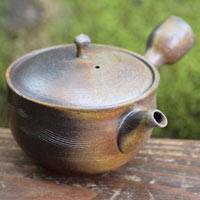 Even with the perfect clay, however, Shoryu’s thin teapots can’t simply be made by anyone. 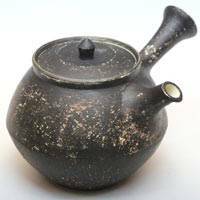 “If you don’t work on the wheel every day, you forget the sensation of ‘getting it right,’ and you lose the ability to throw quality pots in no time at all. 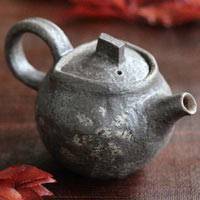 To make teapots this thin takes years of experience and practiced technical skill – it’s not as though anyone can make the pots if they have the clay,” he says. 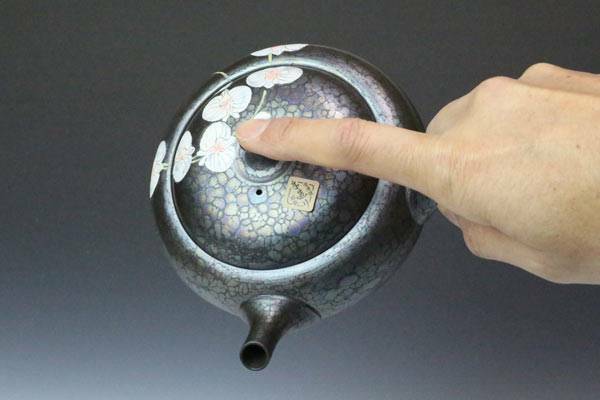 In 2010, Shoryu perfected what has become his signature piece, the Tenmoku-style teapot. 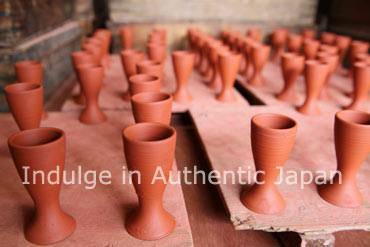 The Tenmoku style is a dream Shoryu has been chasing for over 40 years. 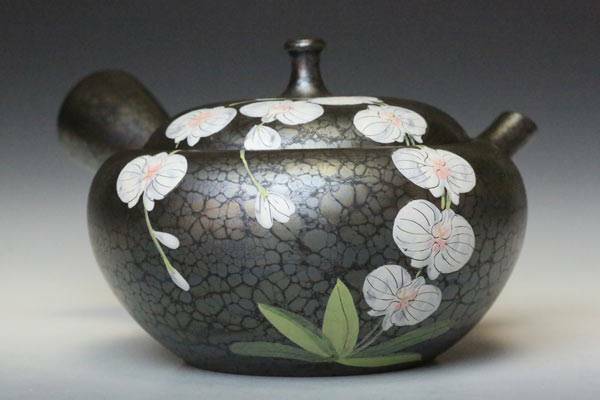 “When I was a child, I used to look at the sun shining through a screen door onto a teapot and think, ‘I want to create that pattern,’” he says. 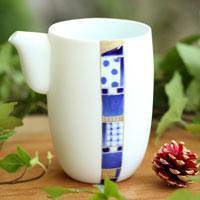 His first attempts at developing the pattern ended in failure. 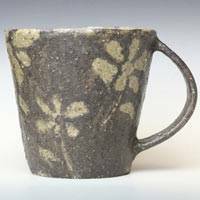 Even after taking a month off from his normal work to focus exclusively on the project and staying up all night to check on his pots in the kiln, he was unsatisfied with the results. 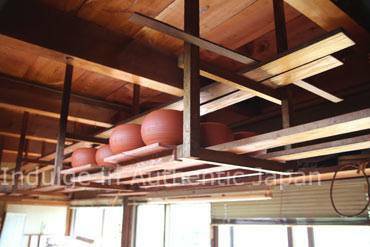 His wife suggested that he quit, but he only redoubled his efforts. 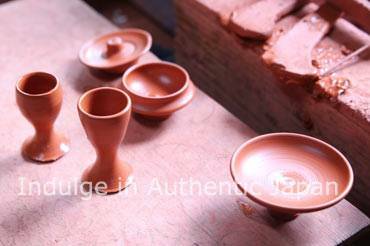 “I’m always thinking up new ideas – I dream of making object so beautiful that they make people gasp. 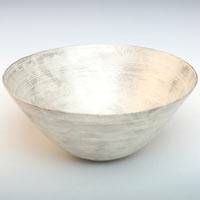 New concepts are everywhere – I even like looking for them in boring business programs on television,” Shoryu says with a grin. 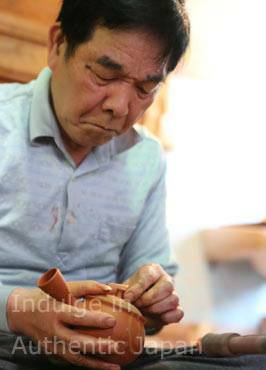 Now that he is growing older, Shoryu is training his son as his successor, and the two frequently work together. 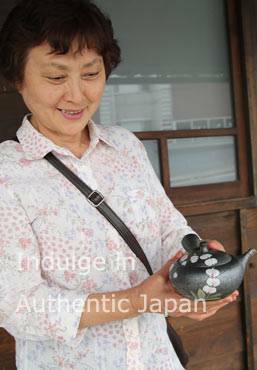 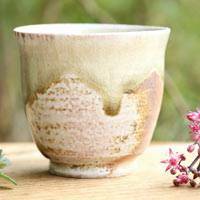 His wife, too, is involved in the pottery world, paining designs and pictures onto the sides of teapots. 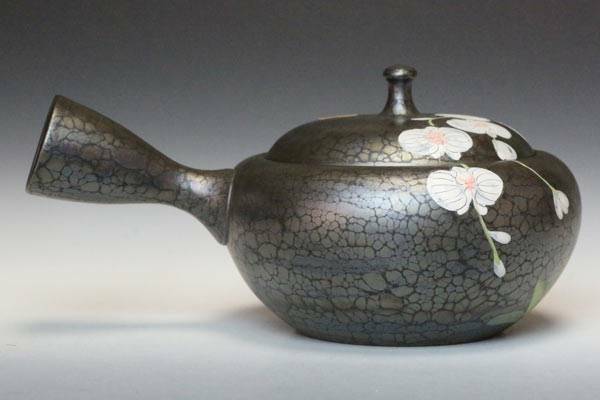 Even though he is known throughout the art world for his lightweight teapots and Tenmoku glaze styles, however, Shoryu isn’t slowing down – who knows what his next project might be?